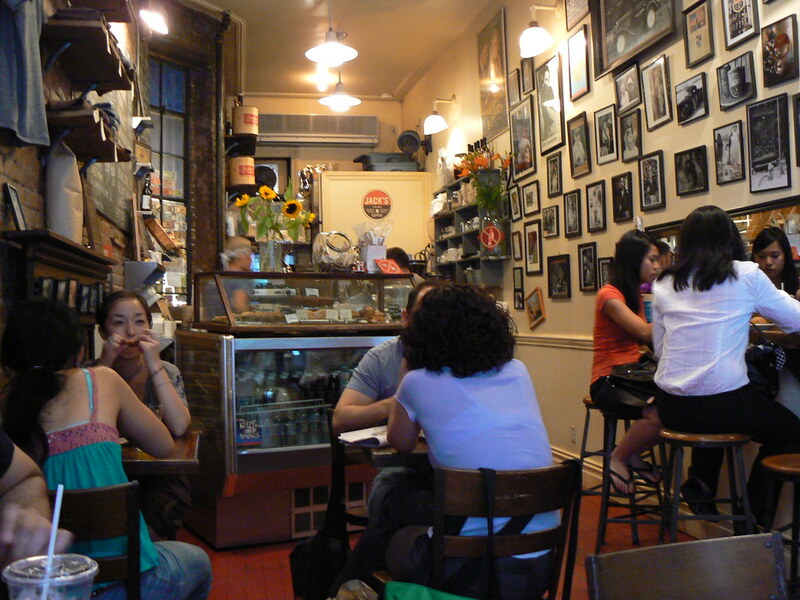 This post originally appeared as a review on Project Latte, my defunct cafe culture site. 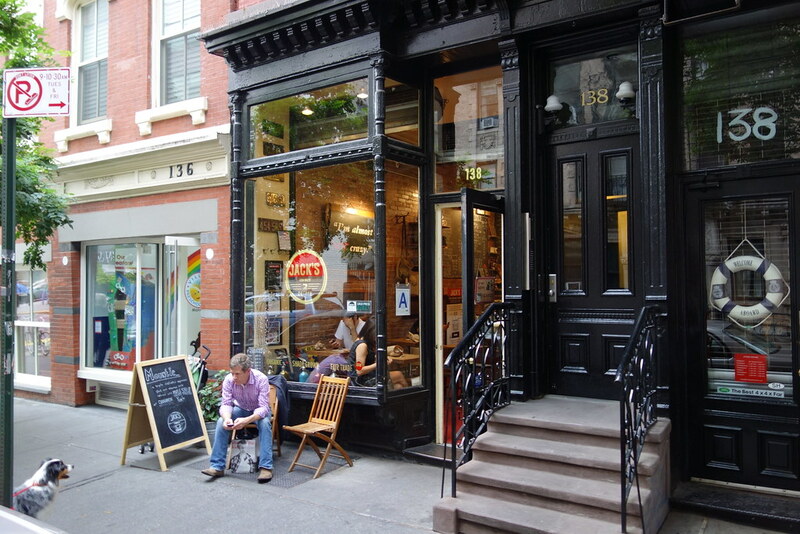 Jack’s Stir Brew Coffee is a neighborhood spot. Flyers for guitar lessons, house cleaners, and local recitals line the wall as you walk in the door, and sections of the Times lie around in case you forgot yours. Jack’s makes eggs and toasted bagels in the mornings and serves beer in the evenings. People love it here. Early on Sundays it pulls in a pile of regulars who look very relieved to be there, munching away their hangovers with bagels and coffee. The vibe is the appeal at this place. It certainly can’t be the stir brew. It appears that the special stir brew process improves horrid coffee all the way up to bad. Jack’s Fair Trade coffee, roasted for them by a boutique roaster in Vermont, has a charred, French-roasted flavor with the soapy aftertaste of commodity coffee. Clearly there has to be a better way. The espresso is much better, made carefully on a La Marzocco, but it tastes like the dark roasting process and nothing more. It’s not hard to see the appeal of Jack’s Stir Brew Coffee as a place to hang out. Or even to eat bagels and have a beer. But why they are famous for their special coffee process is beyond us at Project Latte.